It’s as simple as it sounds: ride as fast as you can uphill, from the start line to the finish line. Riders set off at one-minute intervals. The simplicity of the challenge is its very appeal. There’s a variety of courses. Some, like Monsal Head, are short and hurt you quickly; others, like Long Hill out of Whaley Bridge, are long and grind you down. Events are open to all ages and are sometimes on closed roads. Riding hill climbs is a really good way of trying some competitive riding in a safe and friendly environment (any pain is likely to be self-inflicted). You’re also guaranteed to earn the respect of your fellow competitors if you give it everything. Am I fast enough / what equipment do I need? Don’t underestimate the power of adrenaline from pinning a number on your back and the extra power you’ll get from the vociferous support lining the road! The club organises two events in the late summer on Pym Chair and the Cat and Fiddle. There are other ‘pay on the line’ events organised by local clubs, a popular one being on the Brickworks, out of Pott Shrigley, organised by Manchester Wheelers. Events tend to be clustered in September and October, culminating in the National Hill Climb Championship at the end of October. 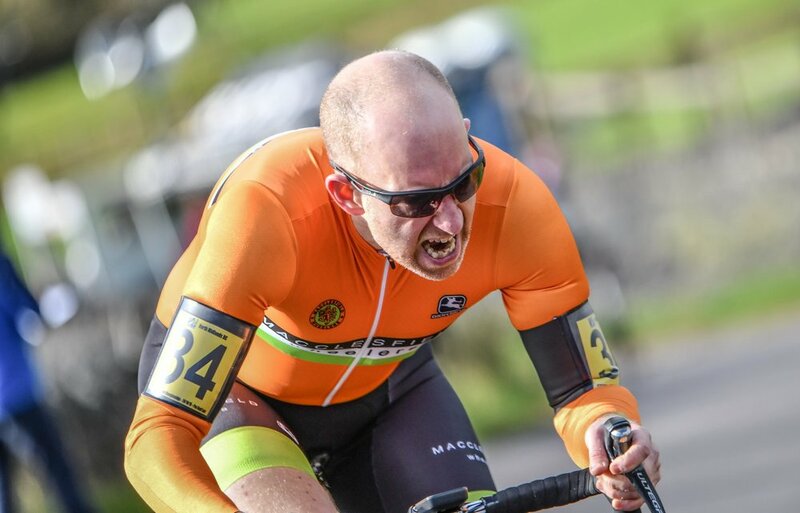 There are many open events organised via Cycling Time Trials within easy reach of Macclesfield, including Long Hill (Whaley Bridge), Peaslows (Chapel-en-le-Frith), Pearoyd Lane (Stocksbridge), Mam Nick (Edale), Riber and Bank Road (Matlock), Jackson Bridge (Holmfirth) and Macclesfield’s very own Cat and Fiddle.